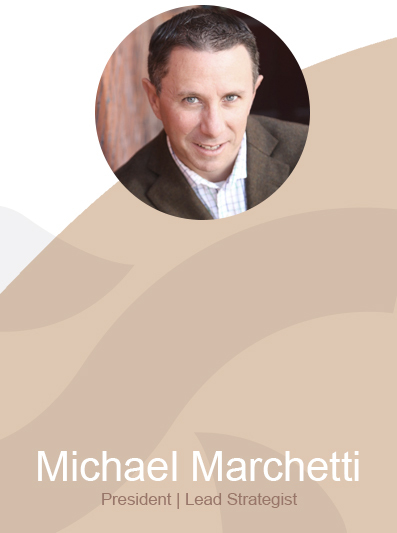 Michael Marchetti has close to 15 years of experience in higher education. He has served as director of both graduate and undergraduate admissions teams at accredited universities in the northeast and has had leadership roles on enrollment services teams where he was responsible for systems implementations, course scheduling and business process analysis. That experience combined with his pioneering approach to the use of technology in enrollment services and communications will help your institution develop effective enrollment strategies. With an MS in Higher Education Strategic Enrollment Management and and M.B.A in Human Resource Management, Laura offers a depth of knowledge that can help any institution maximize efficiency and effectiveness within their enrollment management functions. She most recently served as Assistant Dean of Strategic Enrollment Management at Stetson College of Law and her career includes close to 20 years of experience in Higher Education. 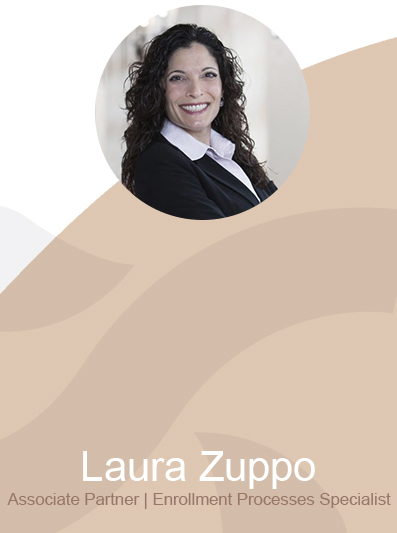 Laura has been active in an array of professional organizations and is a frequent presenter at national conferences on admissions, recruiting and communications, management, financial aid and loan forgiveness, and recruiting veteran students. 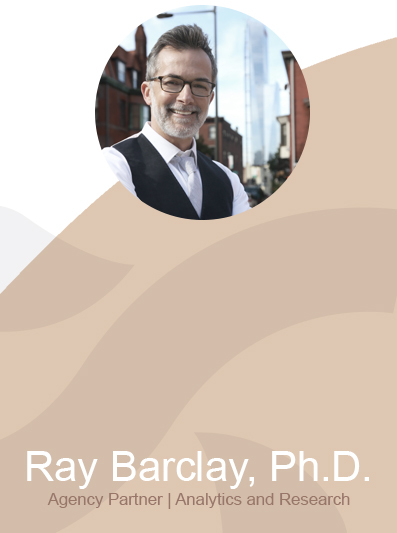 Dr. Raymond Barclay has a deep expertise in strategic planning and innovation facilitation, budget modeling and ROI analyses, integrated enrollment planning, marketing and segmentation analyses, strategic space management framework development, curriculum and learning assessment, enterprise system development and business process re-engineering. He’s served at the executive level at a number of highly regarded colleges and universities as well as in the private sector in both a start-up technology/data integration company and at a boutique research and evaluation firm. In his spare time Ray enjoys operating his online adventure apparel business! 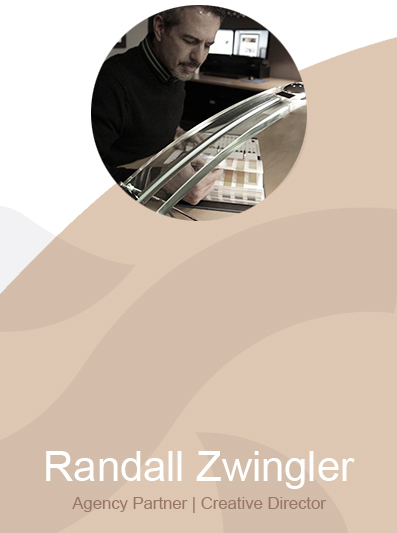 Randy Zwingler is an enthusiastic, passionate, and dedicated Creative Director with more than 28 years of experience. He enjoys taking our clients’ creative brief, and brainstorming unique conceptual ideas, formulating a marketing plan, and in turn, effectively executing the development of digital and traditional marketing materials that will bring your communications to life. 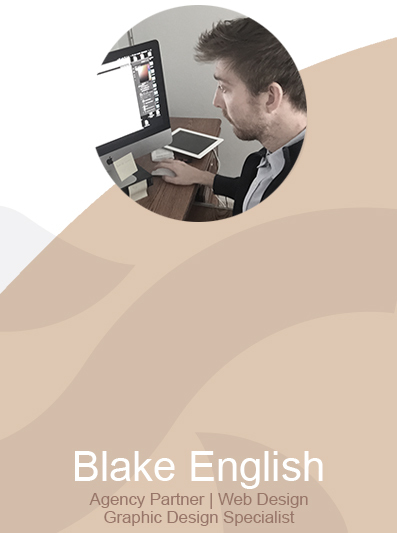 Blake English is a tech savvy developer, dedicated to contributing to the team and relaying information in an appealing way. He enjoys taking marketing briefs and finding effective solutions that suit the client needs.